Classical poetry is fascinating to me. Here is a classical piece of poetry with a twist of modern. 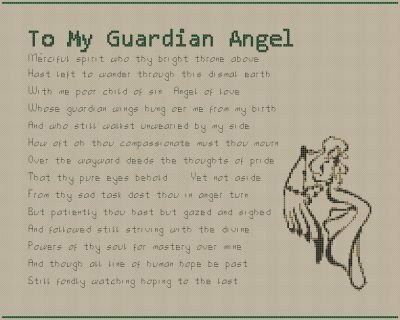 You’ll enjoy stitching and being watched over by a guardian angel. 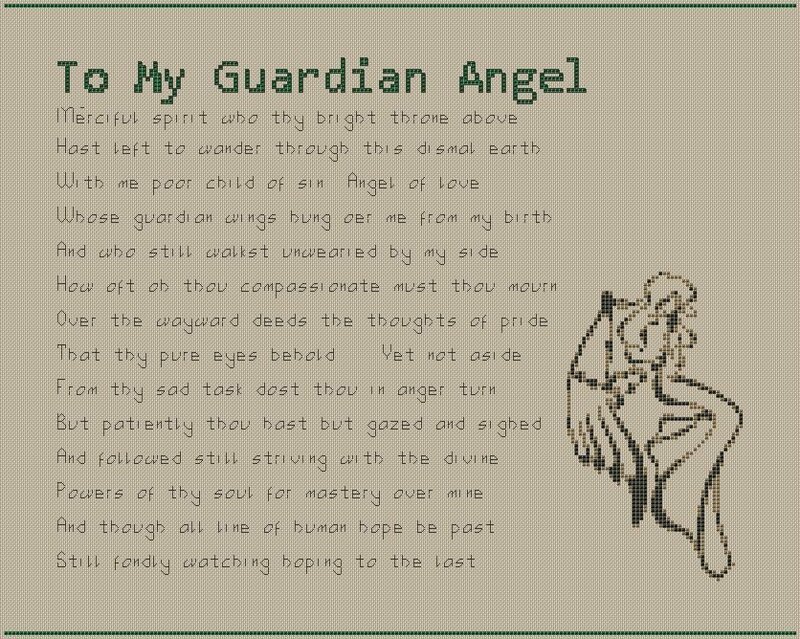 Here it is 207×165 stitches the poem for your guardian angel. You’ll need a full skein of the backstitching color. I don’t include colors list though, so you are free to select your own. This is only 3 colors should be an easy stitch.